This recipe combines all of my favorite salad components. 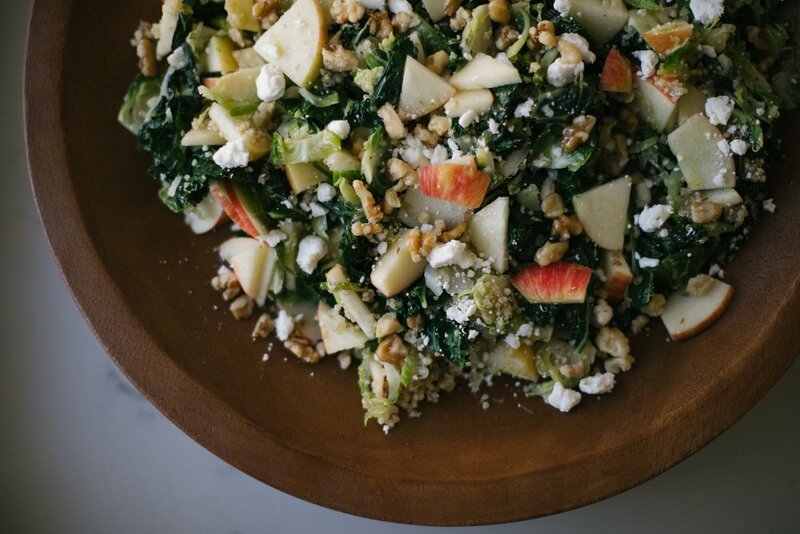 Warm greens, crunchy fruit, toasty nuts, creamy cheese and a sharp vinaigrette. Perfect for winter & versatile - the greens & vinaigrette go with most any fruit/nut/cheese combination. I give you my full permission to swap in cranberries, pecans, cheddar, dates, almonds, feta or just about anything you can dream up. 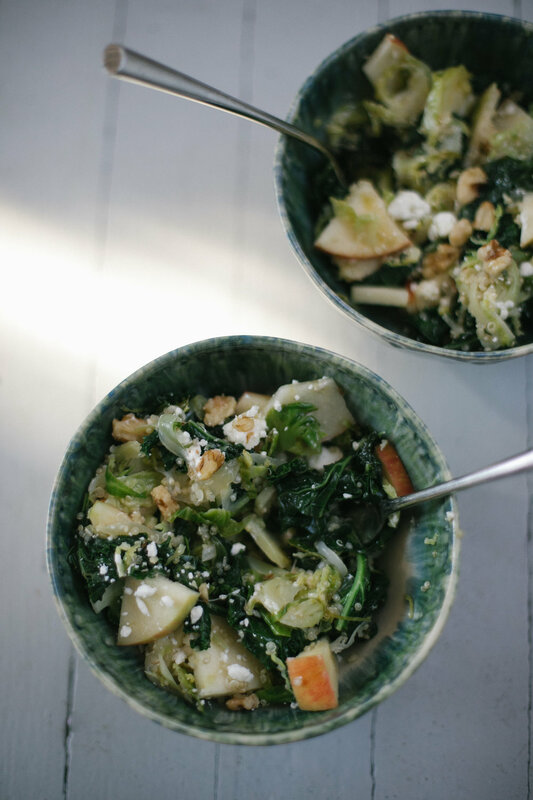 Enjoy a big bowl for lunch or bring as a side dish for the holidays! Cook quinoa according to directions on package and cool completely. 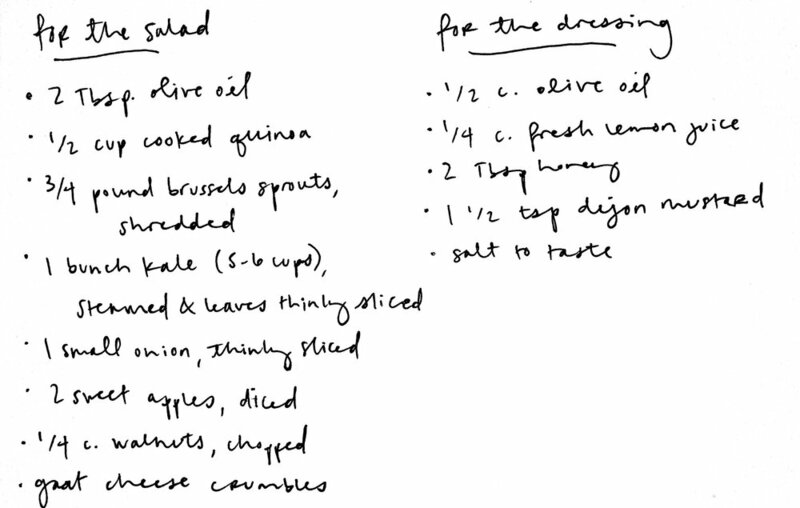 While quinoa is cooling, in a small bowl whisk together all ingredients for the dressing. Taste and adjust for seasoning with salt and pepper. Set aside. Heat olive oil in a large skillet over medium-high heat. Add in the brussels sprouts and onion. Season generously with salt and pepper. Sauté, stirring occasionally, for 4-6 minutes, or until sprouts are light golden. 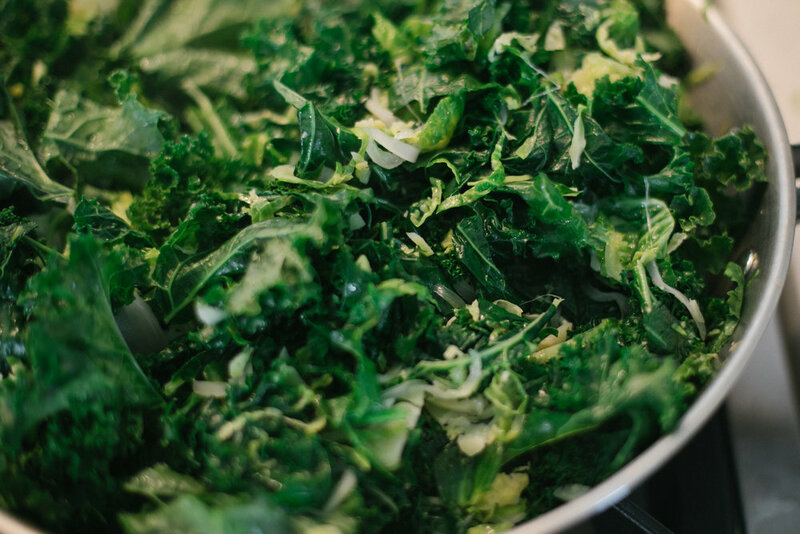 Add the kale to the skillet and sauté, stirring, until kale is slightly wilted, about 2-3 minutes. Remove everything from the skillet and transfer to a large serving bowl. Add in the apples, quinoa. Add half of the dressing and toss to coat. Top with goat cheese crumbles and walnuts. Serve with remaining dressing on the side.